This vase was made by Michael Hunter for Twists Glass in 2015. 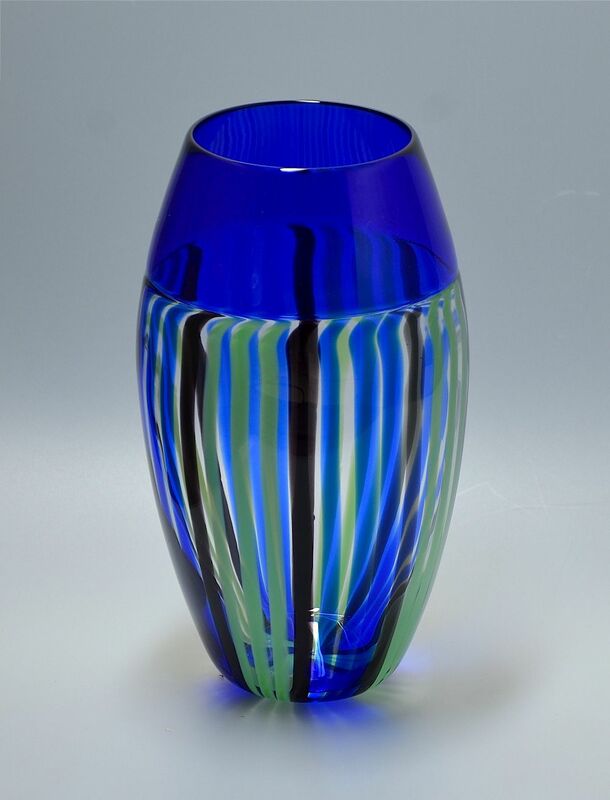 The bottom section of the small baluster shaped vase consists of 12 canes of blue glass, 12 canes of green glass & 8 canes of black glass (alternating 1 black, 3 blue, 1 black, 3 green) laid into clear glass and it has a blue incalmo top. The base is scratch signed "M Hunter Twists 15" and has a Twists Glass studio label. We especially asked Mike to make this for us as we love the "Pod" range so much.